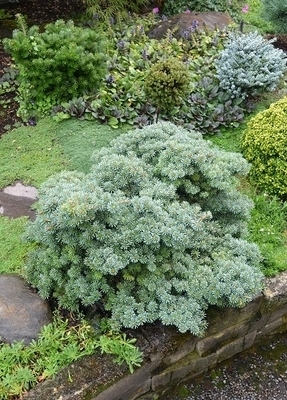 Comments: Gray-green, tightly packed needles on this very dense, slow growing form of Korean fir. Found in Germany as a witch's broom on 'Blauer Pfiff'. Growing 1-2 inches a year will be about 1 x 1 foot in 10 years.